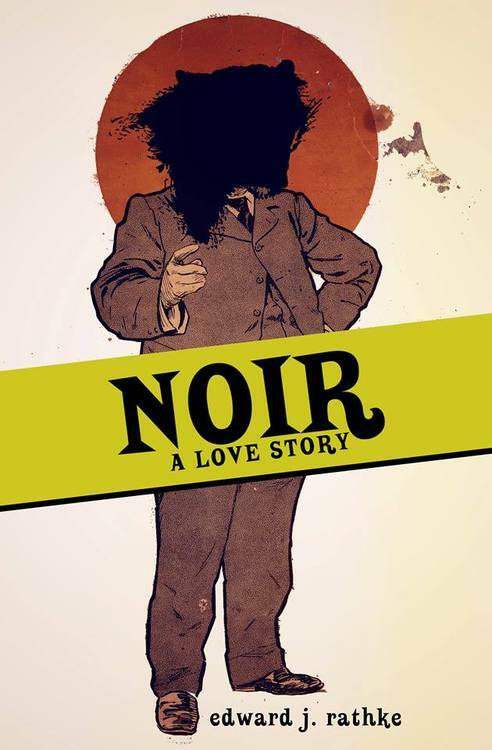 Synopsis: Noir: A Love Story is a detective novel without a detective, a polyphonic shift between twenty-six perspectives in an attempt to find the truth behind two deaths: a young woman burned alive at a crowded intersection, and a man hanging lifeless from an ancient tree. From modern America to an ancient culture lost in its depths, from faith to nationalism, a cacophony of men and women who never knew these two-and the few that almost did-tell a story of lives transformed, one town that exists nowhere, and what it means to have a dream. Author: edward j rathke is the writer of Ash Cinema [KUBOA Press, 2012], Twilight of the Wolves [Perfect Edge Books, 2014], and Noir: A Love Story [Civil Coping Mechanisms, 2014]. He is an editor at The Lit Pub and Monkeybicycle. More of his work may be found at edwardjrathke.com. I've known Eddy for a long time. And I've been able to see his writing evolve and get better over the years. His skill shines through no matter what he writes. And he writes a lot. He was one of the most productive people when ManArchy was up and running. And he's probably one of the most productive people I know. Gotta say, based on the synopsis, this sounds pretty great. I'm new to this site and am wondering if you need to be a paying member to join the book club? Nope. Just post in the discussion threads. I just ordered the book on amazon, choosing the 3-5 day shipping option. I then got an email saying it will be here September 2nd.. Whether I make it on here in time or not, I hope everyone enjoys the book. If you don't get the book on time, you can just join discussion when you finish it. We don't lock the doors mid-month. Fire hazard. I'm sure you will get the book before that. Amazon likes to post outrageous dates like that to screw over indie publishers for some reason. Every time I've ordered a Broken River Book, the exact same thing has happened. It says the book will be here in a month and in a little over a week, the book shows up. Discussion has officially started on this one (yeah yeah, I'm sorry I'm a couple days late). I'm the writer of this little novel and I thought I'd stop join in on the discussion this month. So I can probably field many questions anyone might have about the novel. Can't remember if I asked you about this a while ago, but how the hell did you manage to conceive, organize and maintaion 26 perspectives? My brain would've broke after chapter five. And what impresses me too is that it's not just people perspectives, it's cultural and chronological perspectives that shirft and swirl and mutate. This was actually the first novel I ever finished, and all those narrators, all those shifts, they're what make sense to me. I have an incredibly difficult time sticking with a single narrator long because it doesn't make sense to look at anything from one perspective, and so I jump around, because that's how life feels to me, and that's how memory works. The novel was written with no expectation and in a pretty random order. The biggest part of editing was figuring out the order to put these narrators to create the most dynamic reading experience. But, like, the very first chapter was probably the tenth one written and the last chapter was, I think, the fifth one written. So I guess I did it this way because it feels natural and normal to me to tell a story this way, haha. I've yet to complete a novel that just sticks with one narrator or one character, but I keep trying [am working on two right now, even]. Man, I really want to read this. Damn you, Amazon! Amazon says it ships in 1 to 3 weeks, but that's what amazon does for most indie press books. If you order it today, it should arrive as quickly as if you bought the new Murakami. So I finally got the book and read it. Better late than never. Question for Eddy: After you finished editing and were shopping this around, did you get any resistance to the type of story it was or the structure? Did you do any additional editing based on that? Or did you target a publisher you knew would be interested in this type of story? Glad to see someone read it, haha. Fall 2013--sent to Civil Coping Mechanisms and got an acceptance pretty quickly. Because I never heard back from Two Dollar Radio, I sent them an email to let them know it was being published elsewhere and then got the kindest email from a publisher I've received! I assumed he rejected it because of the silence and the amount of time they had it, but I guess he hadn't made up his mind yet, haha. So I guess I was in no rush and the first publisher I directly sent it to was the publisher I most wanted [and is still on my list of places I most want to see one of my novels]. I suppose I'm a bad judge of my own books because I think of this as the most commercial book I've yet written, though it certainly has a lot of structural experiments. I think the prose is very straightforward and clear and readable though, so in many ways it's the book of mine that's most friendly to the reader. But, yeah, I've read the novel probably close to forty times since first writing it, always intending to make a lot of edits, but it's remained largely untouched [except for typos and so on] since I first edited it.